Through our screens, our attention is public in a way it's never been before. Yep. 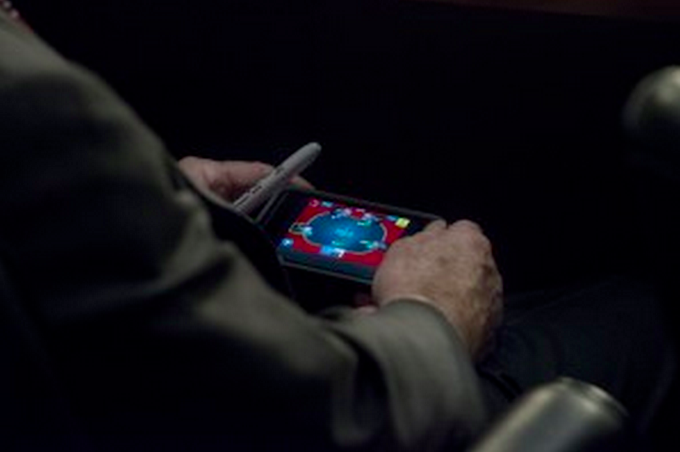 During the hearing on one of the biggest questions that will face Congress as it reconvenes after its summer recess, the Arizona senator was ... on his smartphone, playing a game. And, hey: Fair enough, sort of. It was a long hearing. Much of it covered familiar ground -- ground that would be especially familiar to McCain. Who among us, etc. What's noteworthy here, though, is what McCain's little round of poker says -- not about politics, but about technology. Because it was McCain's screen that gave him away. It was his screen that provided evidence -- photographic evidence -- of his lack of attention. And that's a relatively new thing. As anyone who has tuned in to the State of the Union -- or any other Congressional session, for that matter -- can attest, our elected representatives often seem to be paying less than their full attention to the proceedings at hand. Yet they always seem to be doing that. We viewers have never been quite sure. Distant gazes could suggest daydreaming ... or deep thinking. Lowered eyes could signal sleeping ... or reading. Or note-taking. But screens! Screens are different. They reveal exactly what you are paying attention to at a particular moment. They are attention, made visible and public. But whether what we saw on McCain's screen represents true boredom or a more strategic protest, it's a reminder nonetheless of how public, via our smartphones and other computers, our attention has become. Whether you're a U.S. senator or a plain old citizen, your attention is, in a way it never has been before, out on display. Your screen is a window to your soul -- which is fine, until your soul gets bored and decides to play some poker.